Get a handle on what's new in the 2017 edition of the NEC®! In Analysis of Changes, IAEI and NFPA® explain and illustrate major Code changes, so you understand their impact on your work. Revisions in the 2017 edition of NFPA 70®: National Electrical Code® have a direct impact on residential, commercial, and industrial designs and installations. Be the first to know about essential changes in the NEC -- including new coverage of renewable energy systems -- with this illustrated electrical book from the International Association of Electrical Inspectors (IAEI) and NFPA, the Code source. Analysis of Changes helps you get up-to-code while you maximize time and efficiency on the job. Stay informed about significant Code changes with summaries for 255 top revisions in the NEC. With the increasing interest in renewable energy, the electrical industry is tasked to address the safety and operation of these systems. In addition to covering changes that help improve electrical and fire safety, IAEI's Analysis of Changes NEC 2017 analyzes five new major advances in the Code: Energy Storage Systems (Article 706), Large-Scale Photovoltaic (PV) Electric Power Production Facility (Article 691), Stand-Alone Systems (Article 710), Direct Current Microgrids (Article 712), and Fixed Resistance and Electrode Industrial Process Heating Equipment (Article 425). Each revision is shown as a color graphic to clarity how to apply the requirement correctly. Excerpts of the 2017 edition NEC Code provide the explanatory language. Technical Changes to the 2017 NEC Code -- with First Revision (FR) and Second Revision (SR) changes referenced -- assist you in knowing the changes and the reasons behind them. In Analysis of Changes, IAEI and NFPA® help you understand and implement major changes in the 2014 National Electrical Code®. Be ready to apply Code-wide NEC® changes with this illustrated electrical book from the field's leaders in electrical safety. Hundreds of revisions in the 2014 NEC will have a direct impact on residential, commercial, and industrial installations -- including four first-time articles that expand Code coverage. Stay informed about the vital changes and expansions with this accurate, authoritative guide from the International Association of Electrical Inspectors (IAEI) and NFPA®, the Code source. Get "at a Glance" summaries for the 250 top revisions in the 2014 NEC. 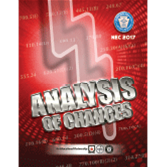 NFPA® and the IAEI bring you up-to-code instantly with Analysis of Changes for the 2011 NEC®. Trust the nation's leading electrical authorities for information for the latest Code information. Hundreds of revisions in the 2011 NEC will have a direct impact on residential, commercial, and industrial installations, and added NEC articles broaden coverage of alternate energy sources and emerging technologies. Stay informed about vital changes and expansions with this accurate, authoritative guide from the International Association of Electrical Inspectors (IAEI) and NFPA, the Code source. Expand your skills to meet consumer demand and protect people from electrical hazards.